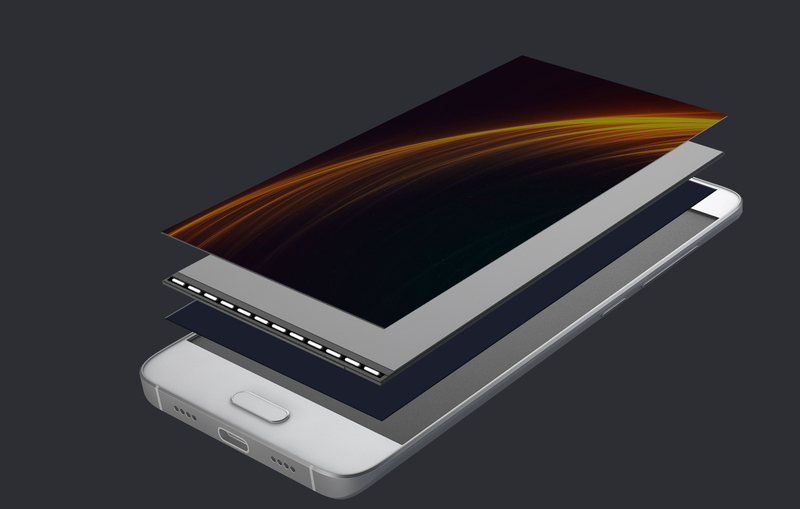 Mi 5 has a 13.08cm (5.15) display with over 2 million pixels and six different screen technologies embedded within. Yet we asked ourselves, what else can we do to improve display quality? By incorporating 16 energy-saving LED lights within the display, Mi 5 is able to reach a maximum 600-nit brightness while maintaining a vibrant 95% NTSC colour saturation. This thin, ultra-bright display also comes with technologies like Sunlight Display, night display, reading mode, and more. It is the best display we've ever made, and our brightest idea yet. Improvements were made throughout the display for Mi 5 to reach a maximum 600-nit brightness yet maintain a high 95% NTSC colour gamut. It's most outstanding feat is fitting a sophisticated 16-LED light layout into a 13.08cm (5.15) display. This is 30% brighter than Mi 4 and significantly brighter than typical 5" displays, which use between 12 and 14 LED lights. We also customized each layer of display, using the best materials to to keep internal reflection as low as 4.62% - 5.4%. Whether indoors, in sunlight or at night, the Mi 5 display is a visual treat no matter where you are. Enjoy brighter whites and deeper blacks with a high 1500:1 contrast ratio, made possible with NEGA negative LCD technology. The higher the NTSC, the more vivid the display. Mi 5 has an extremely colour saturated 95% NTSC, which is a 30% increase from ordinary sRGB displays. Can't see clearly under the sun even at maximum brightness? Sunlight Display on Mi 5 is what you need. It monitors ambient light and dynamically adjusts the contrast for each pixel in real time. By adjusting only specific areas that are darker, Mi 5 remains clear and easy to read even under harsh sunlight. Screen too glaring after lights out? Night Display provides dimmer options and has better control over screen brightness, so you can find the most comfortable settings for your eyes. Reading on the phone for prolonged periods exposes us to harmful blue light rays which can cause eye strain. Reading mode prevents this by reducing the amount of blue light emitted from the display. It takes on a pale yellow tinge that is gentler on the eyes. Research shows that blue light suppresses melatonin secretion which is bad for sleep. Reading mode reduces blue light so you can sleep better at night. Reading mode reduces the amount of harmful blue light to minimize damage to our eyes.